We were already a year into this project when in discussions with friends and colleagues it was decided that this blog could be a good source of information for others thinking or doing something similar as well as a good documented account of our adventure for us. It has taken me until today to catch up with all the items so as of today we are now completely current with the project and I can update as we go. According to the little app on my phone, I have seen the temperatures rising and the sun coming out, so hopefully we should be good for next week. Oh! I do hope so; I think we are really both in need of some warmth. 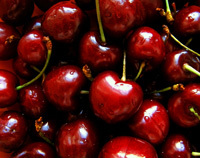 It is also an experiment for Teresa as it is in the School Term and normally she would not take any time off until the term breaks, but the cherries won’t wait, if there are any, until the term break. So she has had to organise cover etc for the days we are away. We have split the trip over two weeks going on the Thursday and back the following Wednesday evening. This way its only 4 days out for her from the school, one day in the first week and 3 in the second, which has helped with the organisation of the cover and the days the cover is required. It has also had the side benefit that we are going midweek to midweek out of the school holidays so the flights and car hire are a lot cheaper. All that said we just have tomorrow morning to get through and then we are up, up and away.